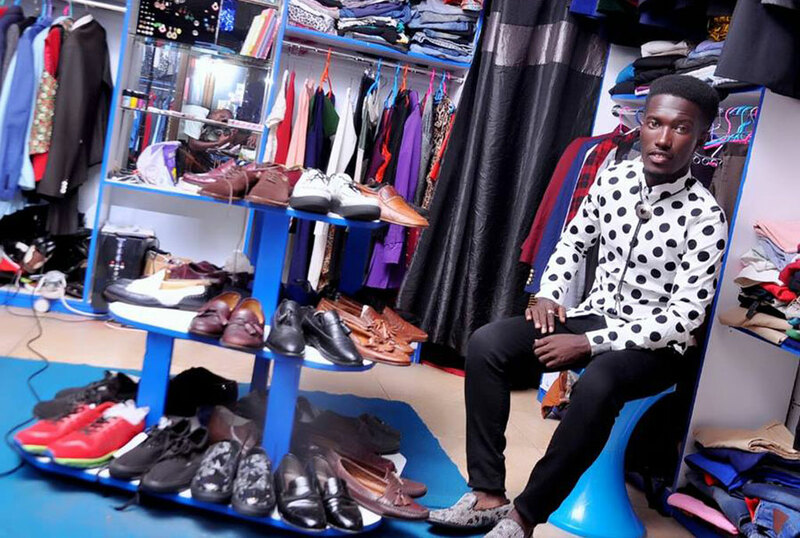 Passion for fashion: Allan Mugisha started doing business in high school. He started by selling to friends who appreciated his style. When he got some cash, he invested it. Now the guy who started with Shs400,000 owns a business worth Shs15m. What is the name of your boutique and where is it located? Allanz Collectionz. It is located at Grand Corner House Level 8, shop541. Why a boutique of all businesses? I am passionate about clothes and dressing other people and I am a big trends and fashion fanatic. What kind of clothes do you sell and why? I deal in all men’s clothes and shoes both casual and gentle, plus suits. How much do you sell these items? I sell pants ranging from 25k to 40k. Shirts go for 20k to 30k and suits for men range from 150k to 500k. Shoes range from 40k to 300k. Where do you buy your items from? I import my clothes from China and Dubai. But I also make customised suits on a client’s orders. How much did you invest in this business and how much is it worth now? I began with Shs400,000 but my shop is now worth Shs15m. Was this something you wanted to do from the beginning? Yes, dressing and styling people has always been my passion right from high school. I always bought and sold clothes to my close friends who appreciated my sense of fashion. What advantages come with doing this kind of business? Exposure; I get to interact with a lot of people and get so many friends and other material benefits. People who purchase on credit and fail to pay. Also street vendors who sell similar but duplicated goods make us lose potential market. How much profit do you get from a single cloth? Well, profits depend on the client and the item. I can make up to 900k profits or as little as 70k a day. My clients are campus students, some of whom I study with. I also dress high school students going for prom parties. I mainly dress the guys for their red carpet sessions and everyday customers.